Sandy Flat Sugar BushRecord Owner? Log in. 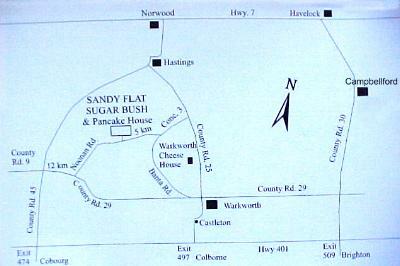 Find Sandy Flats on Google Maps Streetview! 500 Concession Rd. 3 W.
Hwy 401. Take exit 474 north at Cobourg on Cty. Rd. 45 or exit 509 north on Cty. Rd. 30 at Brighton. Take 45 north to Cty Rd. 29 and drive east 12 km. or take 30 north to Cty. Rd. 29 and drive west to Warkworth. Watch for signs. Open March and April, 9 am - 4 pm. Visitors welcome any time. 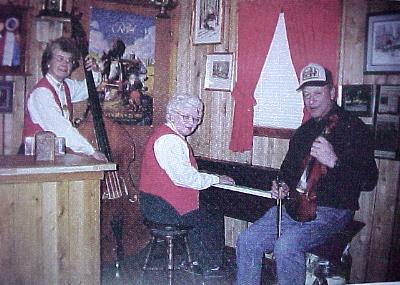 Pancake House; Live Olde-Tyme Music by the hosts. Pancake breakfast 9am - 4 pm. Free maple taffy on snow - weekends. Museum of Artifacts related to the making of maple syrup. Year Round Sales of maple products. 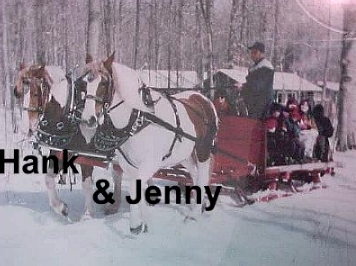 Horse drawn sleigh / wagon rides by our faithful Pinto team Hank and Jenny. 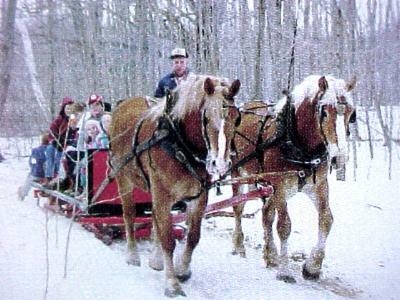 We have won 4 World Championships at the Royal Agricultural Winter Fair, Toronto, Ontario in 1988, 1990, 1993 and 1994. 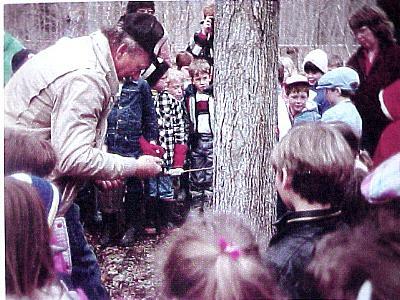 Have something to say about Sandy Flat Sugar Bush?